geoinformation service for monitoring coastal water quality. Rheticus™ Marine supports national and regional authorities in fulfilling environmental reporting obligations (e.g. Water Framework Directive, Marine Strategy Framework Directive) and private actors involved in marine resource exploitation activities such as desalination, fisheries, aquaculture and offshore drilling. 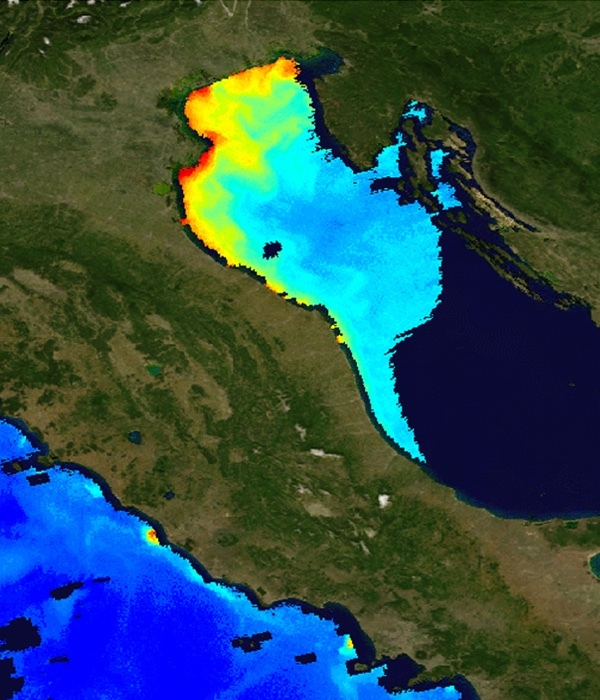 Near-real-time maps and statistics on parameters linked to eutrophication, such as chlorophyl, turbidity and transparency are provided both automatically and on-demand. 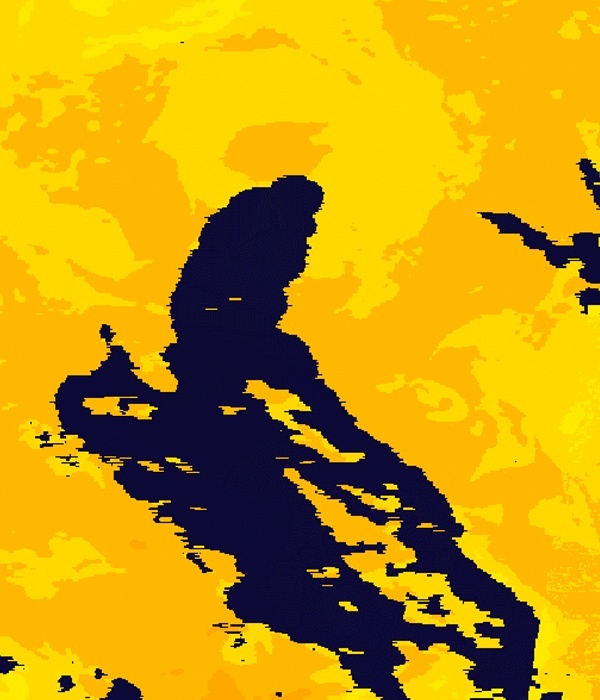 Rheticus™ Marine is fuelled by streams of information from the Copernicus Marine Service. 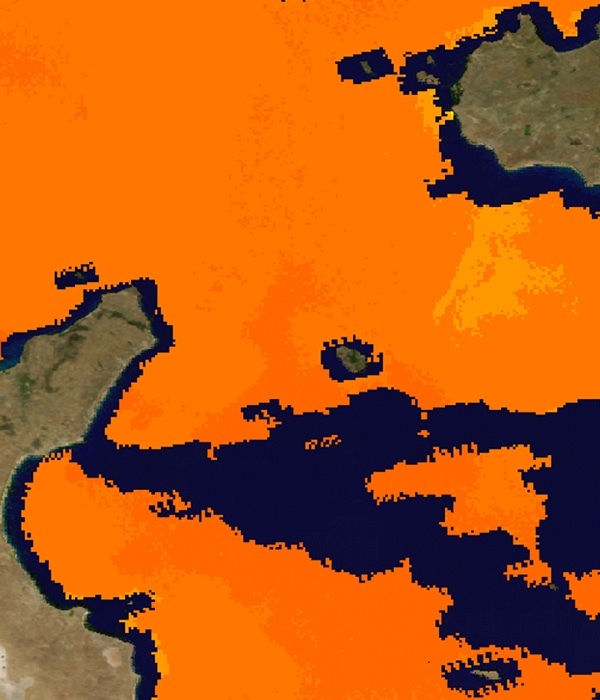 The Copernicus Marine Service provides “streamlined” satellite data, processed to a high level (Level 3), which is partly what makes Rheticus™ Marine so fast. Using raw satellite data (Level 1) would require far more computational power, storage and bandwidth. Copernicus Marine Service products are “sensor-agnostic” (independent of the specific satellite sensor data used in their production), and they have undergone rigorous quality and validation processes, providing clear information about the accuracy of the parameters measured. 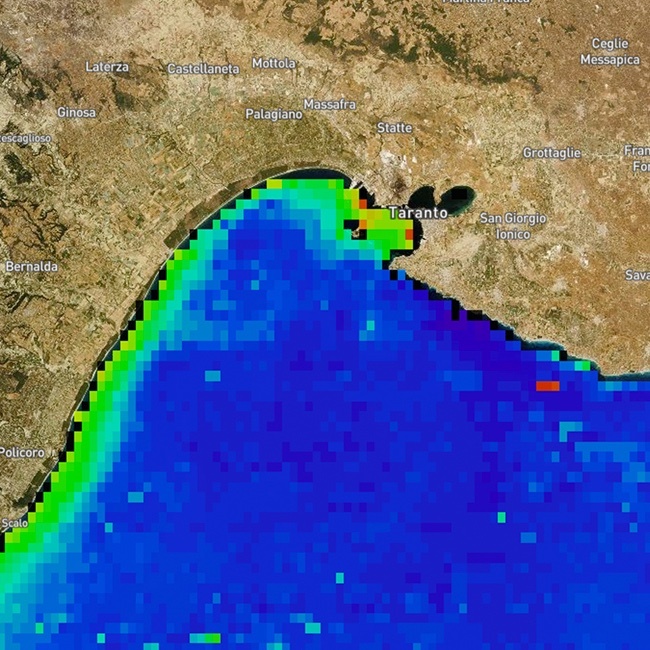 Taking full advantage of the Copernicus Marine Service’s near-real-time capabilities and coverage, Rheticus™ Marine uses specialised regional algorithms* to deliver a wider range of water quality parameters (e.g. turbidity and water transparency), which can be more easily compared with local data collected by regional authorities. Visit the free demo portal to see the service in action!  Rheticus™ Marine is an operational commercial service provided by Planetek. For information about service subscription and pricing, please contact Planetek. Rheticus™ Marine provides updated information daily, 10-daily, monthly and in user-specified time intervals, for all four water quality parameters: Chlorophyll-a, Sea Surface Temperature, Turbidity, and Water Transparency. User-specified intervals are produced on-demand; all other statistics are generated automatically. * About our algorithms: Chlorophyll and Sea Surface Temperature products are obtained by applying a calibration curve to the corresponding products from the Copernicus Marine Service. Turbidity and Water Transparency are obtained using algorithms which take water optical properties (water leaving reflectances and light absorption coefficients at given wavelengths) as inputs from the Copernicus Marine Service, and applying calculations from the literature. 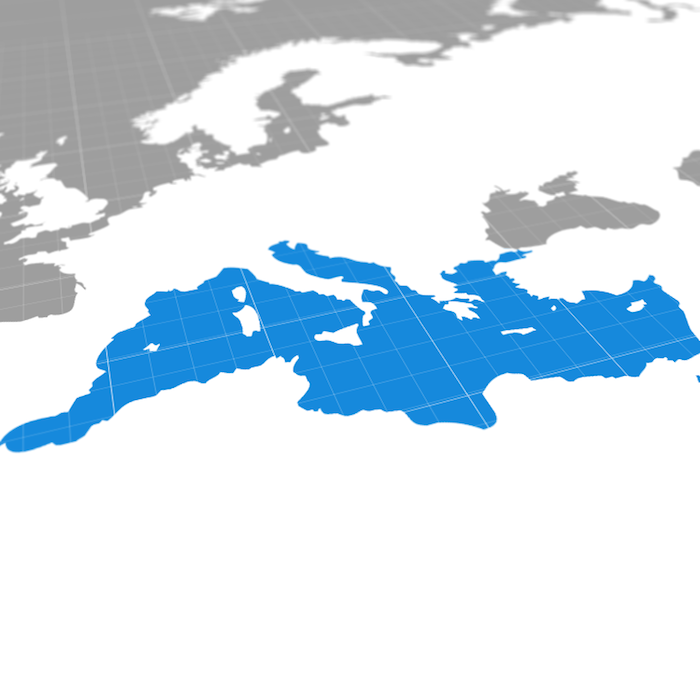 All these algorithms are based on historical analyses performed using in situ measurements provided by regional and national authorities in Italy, Greece and by past studies on the Mediterranean sea region. 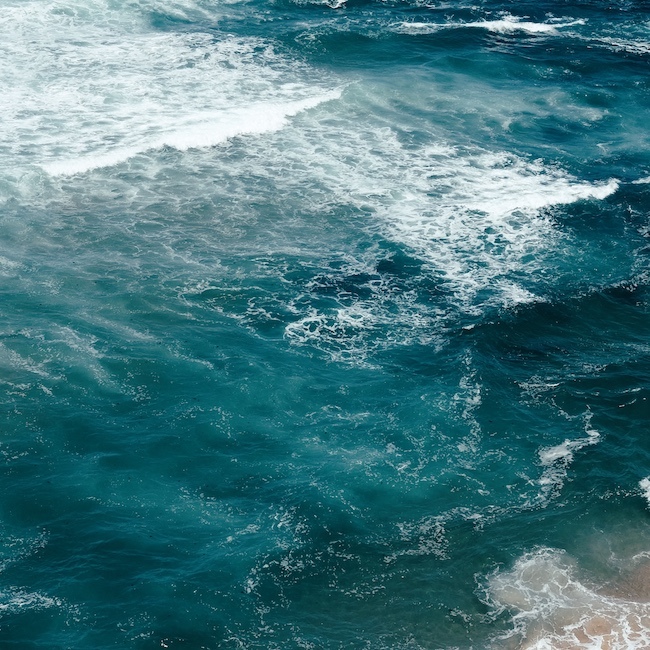 Rheticus™ Marine ensures a steady flow of fresh data round the clock, allowing rapid responses to phenomena such as pollution events or algal blooms. 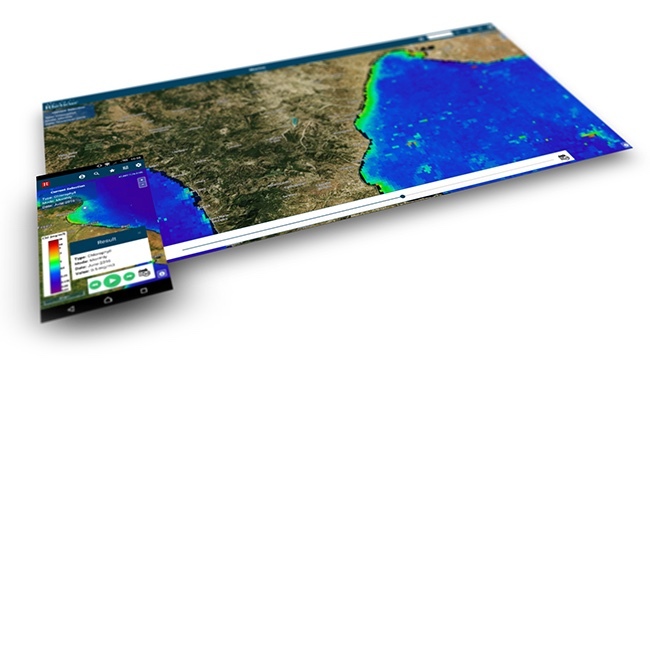 Rheticus™ Marine allows water quality parameters to be visualised through a user-friendly web interface which allows time travel and custom area selection, and is accessible from multiple devices. Rheticus™ Marine is built on Rheticus™ – a cloud-based data and services hub which automates complex processing chains to deliver services regularly, rapidly and reliably. 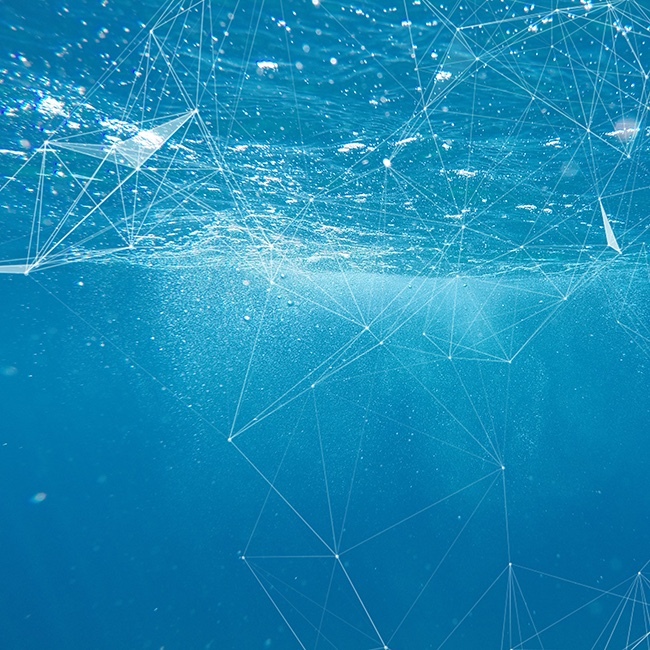 Rheticus™ Marine allows access to both internal and external resources (data sources, processing modules or external catalogues) and presents the results through a single access point.